Sea Bags is my new favorite website this week. 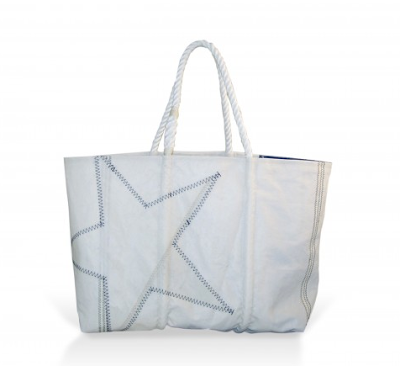 This photo makes me desperate for a beach right now and this adorable tote! 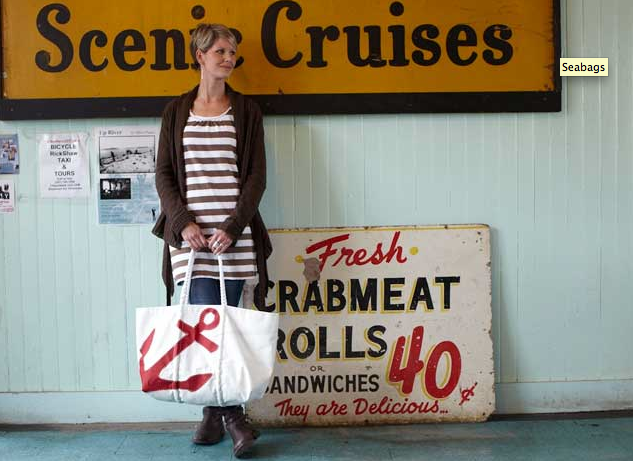 All photos in the post came from the Sea Bags website, so fresh and clean and beachy! Kudos to their photographer. Imagine it was summer and you were on a body of water amidst a myriad of boats, all different. How many of those boats have beautifully colored sails in your mind? Probably many if you were like me or were inside my mind right now (side note, I watched Inception last night and considering the weird dreams I had, you probably don't want to be in my mind. I might be dreaming right now...but since I didn't understand the movie that well, I have no idea). I love to see sailboats with their sails displayed, whether the colors are rainbow-bright or a stark white. I love sailcloth for its vintage quality that harkens shiny wooden ships and sprays of sea air. Every time I see a sailboat, I for some reason want to go to Maine because I think that's where all the pretty sailboats go. Another advantage to sailcloth, besides being the epitome of nautical, is that it is a durable fabric. If it can withstand crazy winds and water, surely it can withstand wherever you plan on taking it. 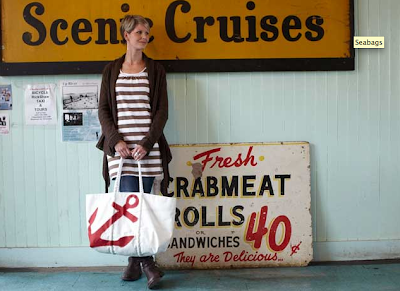 I scoured Sea Bags new 2011 Spring line and picked my favorite bags for summer. 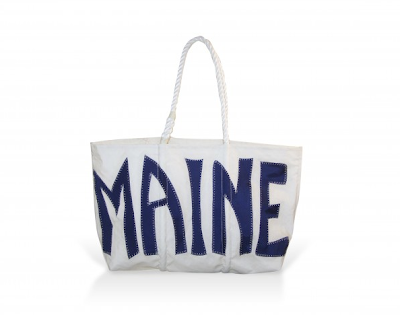 I am currently on the search for a durable and fashionable beach bag that I can keep for a while. My adorable straw and red bag is slowly coming apart and is really small for a beach bag. Thus began my search for the perfect beach bag. Can you tell I'm ready for warmer weather and water? Sing a sea shanty while you browse. 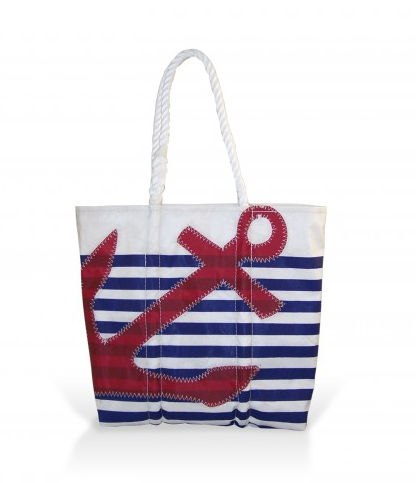 I love the complete nautical feel of the Layered Stripes with Red Anchor bag, with the horizontal blue stripes and giant red anchor. It just needs to be on a sandy beach to be complete. 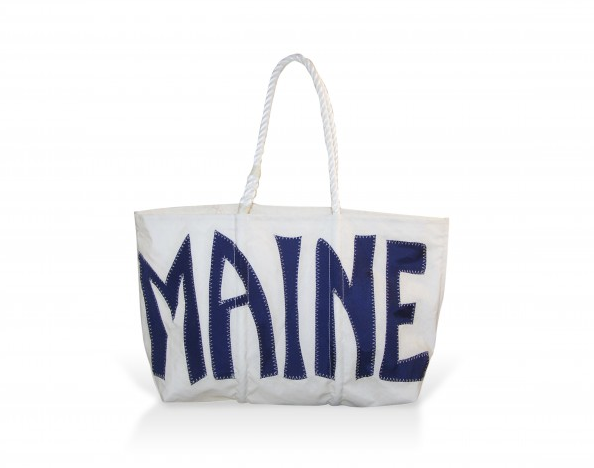 If you do go to Maine to gaze at the sailboats on the horizon, take this Maine Tote with you. I love the modern glam of the Metallic Stripes bag. It would be lovely glinting in the sunlight on a California beach. 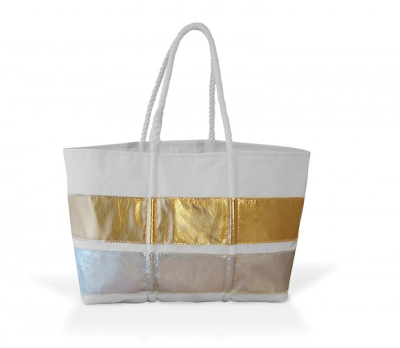 You might even become just as golden as the stripe! (I would be worried if you became silver like the other stripe. Just please wear sunscreen so you don't look more like a lobster and cause damage to your skin). 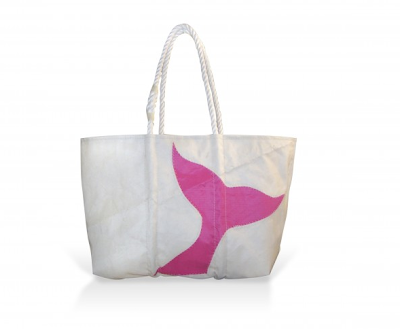 The Whale Tail Tote is just a little bit sassy and in the pink color, reminds me of the preppy Vineyard Vines pink fishy. The subtle white looks so fresh in the summer, especially next to colorful bikinis, beach towels and umbrellas. (Look for an all white post soon!) Stars always speak summer to me as well, probably because of our nation's flag and the celebration surrounding America's freedom. The White on White Star Tote would be a perfect accessory to take along to a summer barbecue.